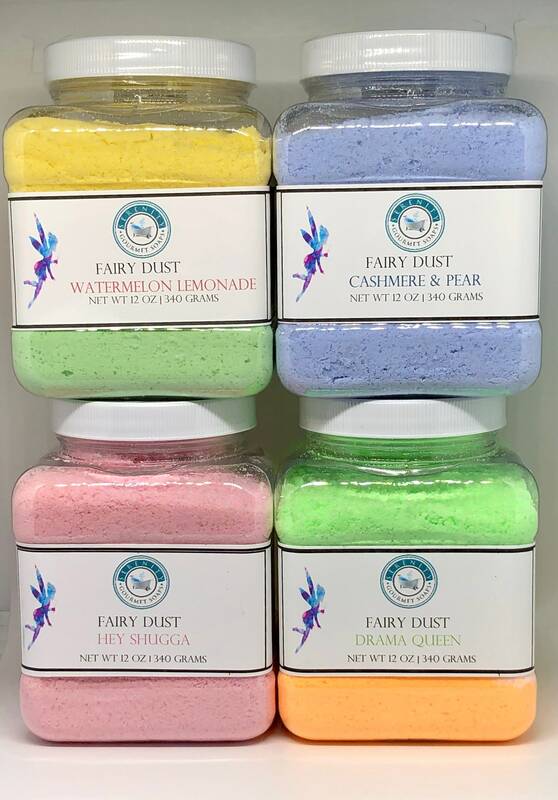 Fairy Dust Bath Soaks Scoopable Bath Bombs are filled with ingredients that leave your skin feeling soft and moisturized. 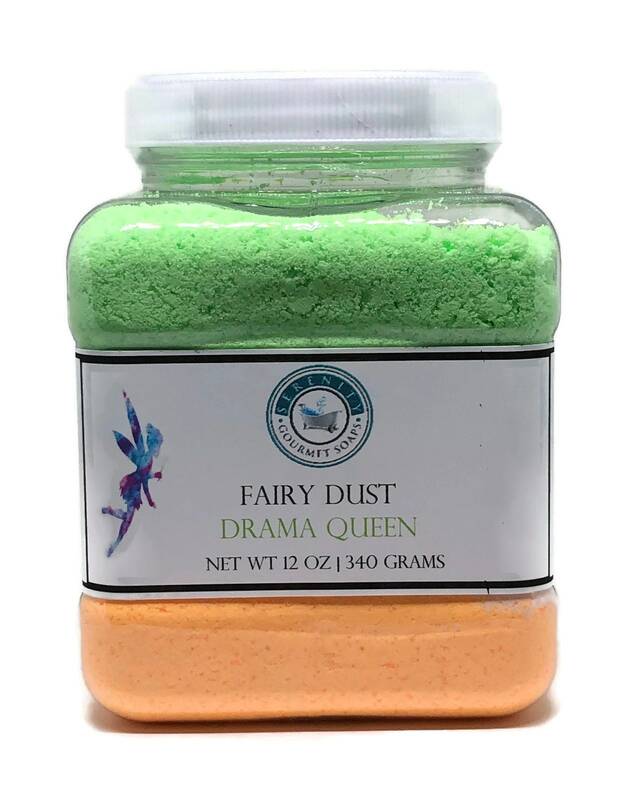 Ingredients: Love, Sodium Bicarbonate (Baking Soda) Citric Acid, Epsom Salt, Kaolin Clay, Oatmeal Colloidal, Coconut Oil, Polysorbate 80, Fragrance, Skin safe colorant (mica). 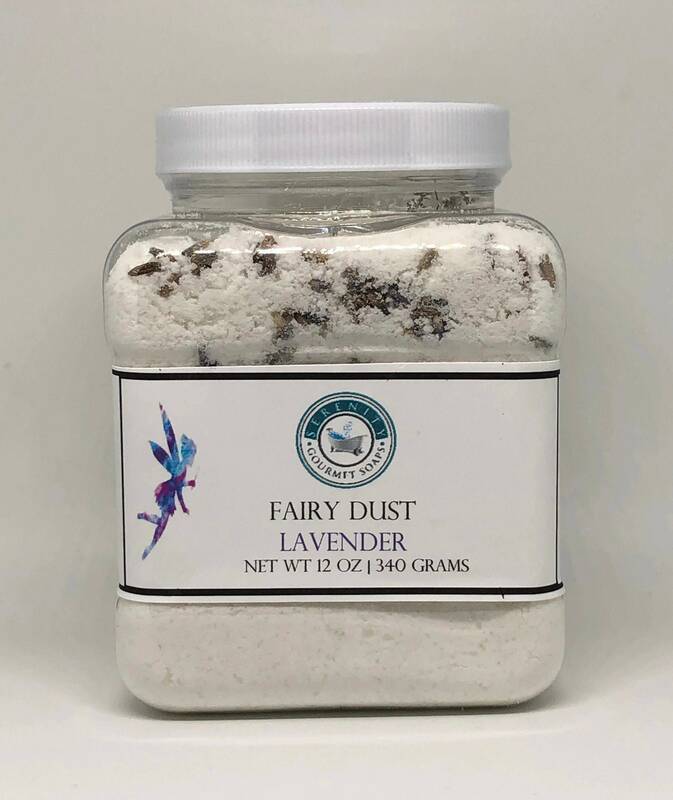 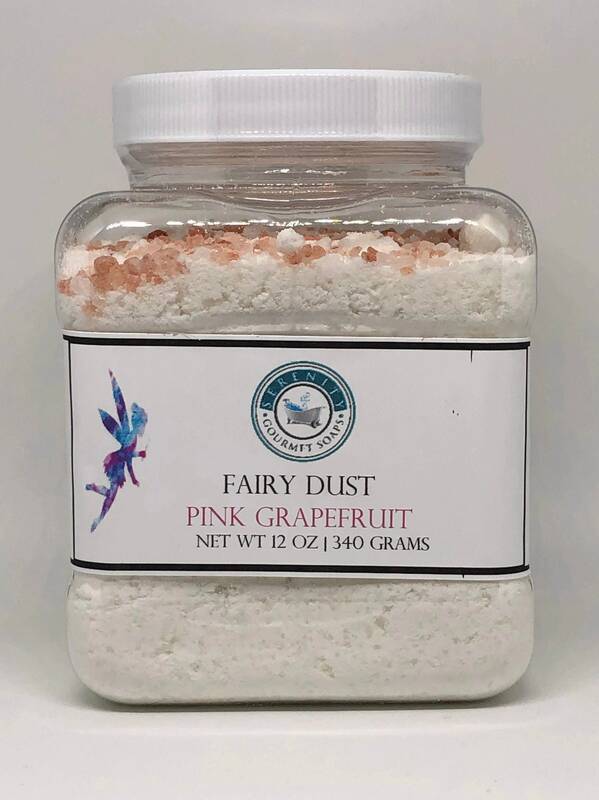 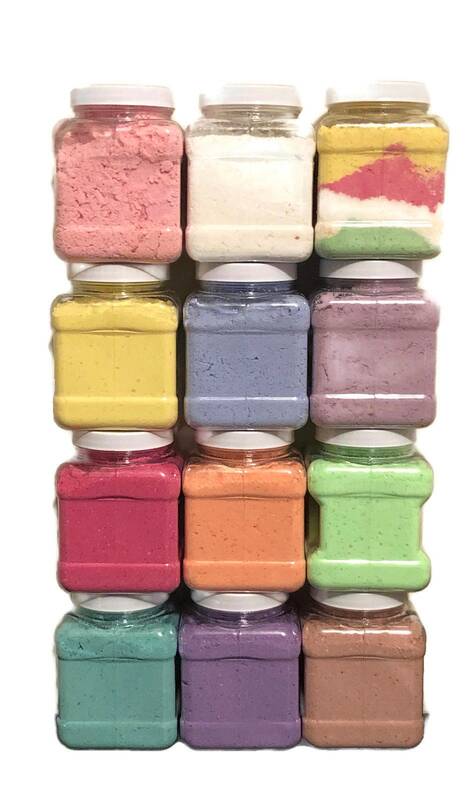 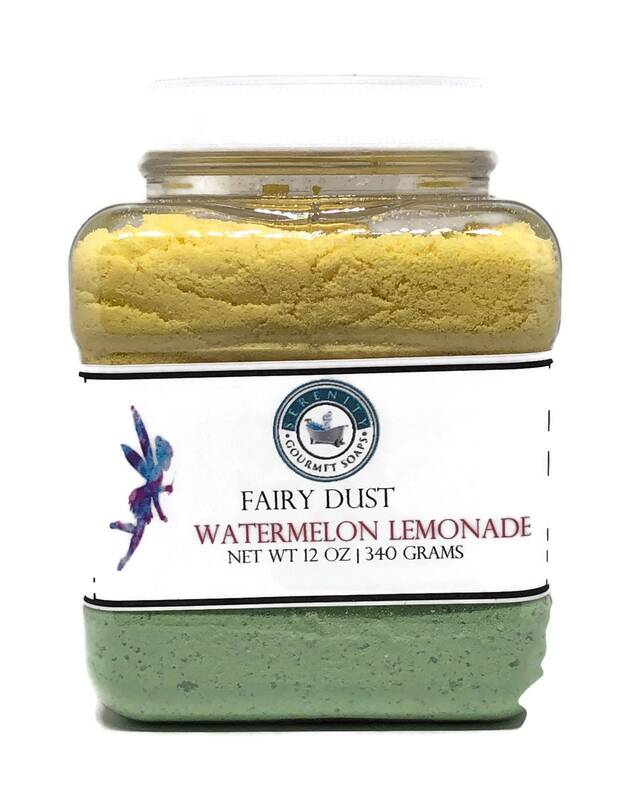 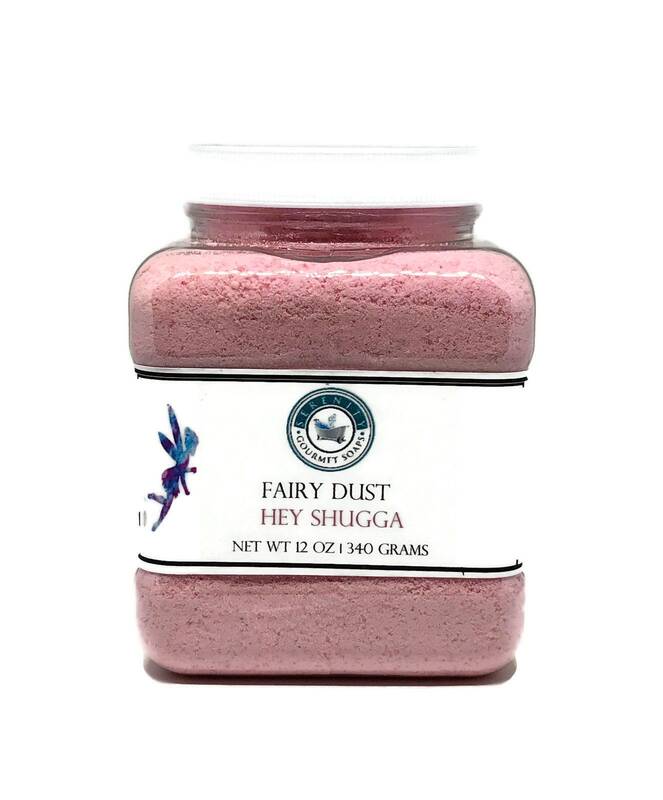 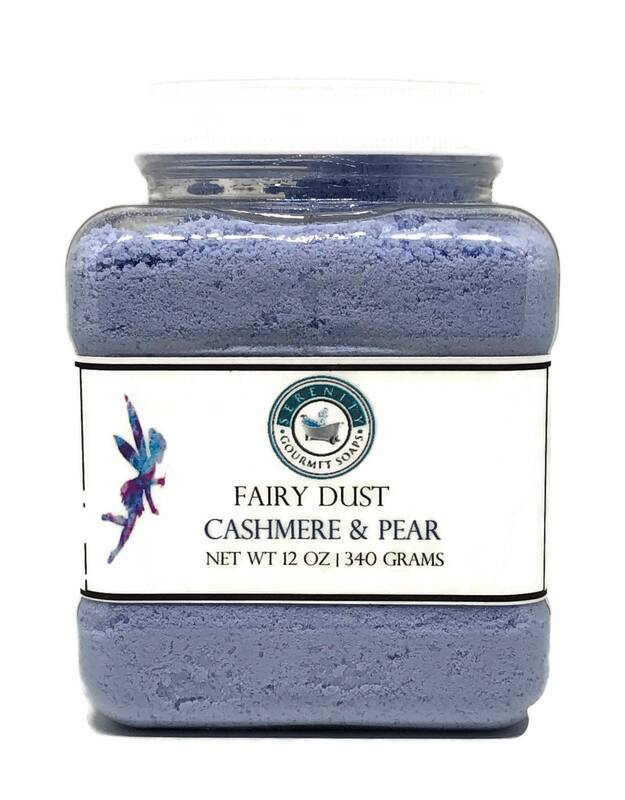 Fairy Dust Bath Soaks Scoopable Bath Bombs are 12 oz and are packaged in clear, plastic containers.